Dear Students, Today(31st March 2019) is the last date to apply online for RRB NTPC recruitment 2019. You have to apply today before 11:59PM. 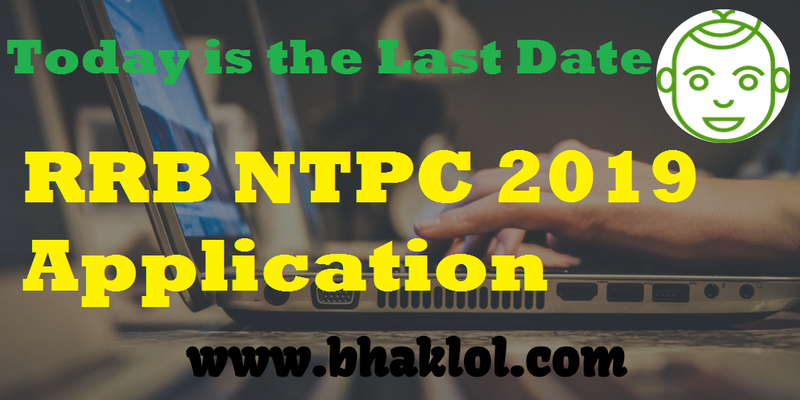 There is no notice has been published officially regarding the application date extension. Therefore, you must not wait for the notice of date extension. If you are eligible and interested then you must apply as soon as possible.